Traditional or “real” champagne is sparkling wine made from grapes grown in the Champagne region of France which, after the usual fermentation process, are fermented a second time in the bottle to produce the carbonation. In other words, it’s this special process of secondary fermentation that gives a glass of bubbly its bubbles. People all over the world, including Japan, like to crack open a bottle to celebrate special occasions. At other times, many Japanese people are partial to sake, or nihonshu as it’s known in its native land, a popular alcohol with a long history made from fermented rice. But what do you get when you apply the fermentation process used to make champagne to sake? Well, you get an effect similar to champagne, but with that special rice wine flavor! Because of the in-bottle fermentation process, as with champagne, you get the fizz of fine bubbles jumping out at you when you open the cap. It’s different to “sparkling sake“, which has recently seen a boom in popularity, which is simply sake with added carbonation and is more like an alco-pop with around 5% alcohol content. When using the champagne secondary fermentation process, the resultant drink has a fruity flavor and is around 12% proof. It’s very easy to get carried away drinking too much of it but, since it’s made from only rice and natural water, if you’re going to drink alcohol then this is probably a reasonably healthy choice! Apparently it goes well not only with Japanese food, but with Chinese and Western cuisine, too. Shusen Kurano is the oldest sake brewer in Nagano and the seventh oldest in all of Japan, and they are extremely proud of their “champagne sake”, called Kawanakajima-Fuwarin, which is different to all the traditional sake they produce. Founded in 1540, Shusen Kurano has over 470 years of history and it’s even said that the famous daimyo Takeda Shingen drank their sake at the Battles of Kawanakajima. While champagne sake may not have been around at the time, if it had been he surely would have enjoyed cracking open a bottle after a win on the battlefield. Kawanakajima-Fuwarin retails on the brewery’s website at 450 yen (US$3.70) for 180 ml, 750 yen ($6.20) for 300ml, and 1,250 yen ($10.30) for 500ml. 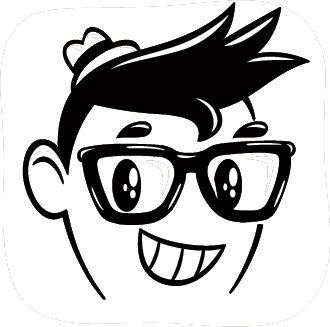 If you do pick any up, be sure to let us know what you think. It doesn’t take much for Alcohol Flush Reaction, better known as the infamous “Asian Glow,” to kick in. Usually, one or two drinks is all that’s necessary for one to become bright red and heated. Sure, popping a Pepcid might make things easier, but the risks are kind of unavoidable. Apparently, there’s an elixir going around that can solve this. 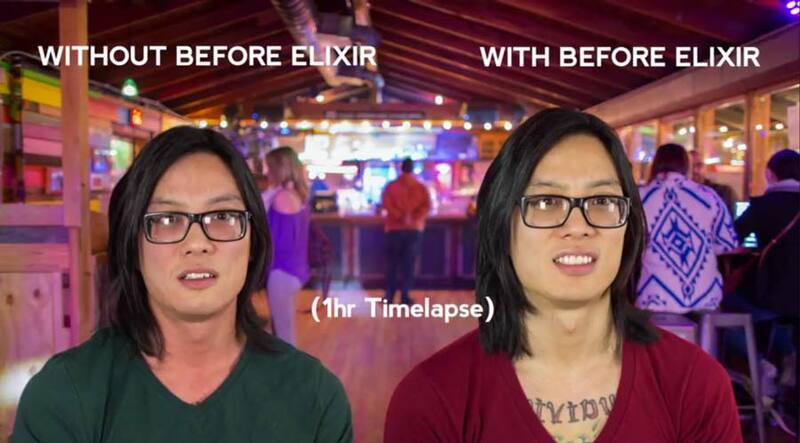 They’re calling it Before Elixir. Asian Glow is said to affect 15 percent of all drinkers and about 70 percent of Asian drinkers. These folks have a variant of the enzyme that metabolizes alcohol, causing them to process it up to 100 times faster than the average drinker. Because of this, a buildup of toxins is created leading to flushing, increased heart rate, headaches and other discomfort. 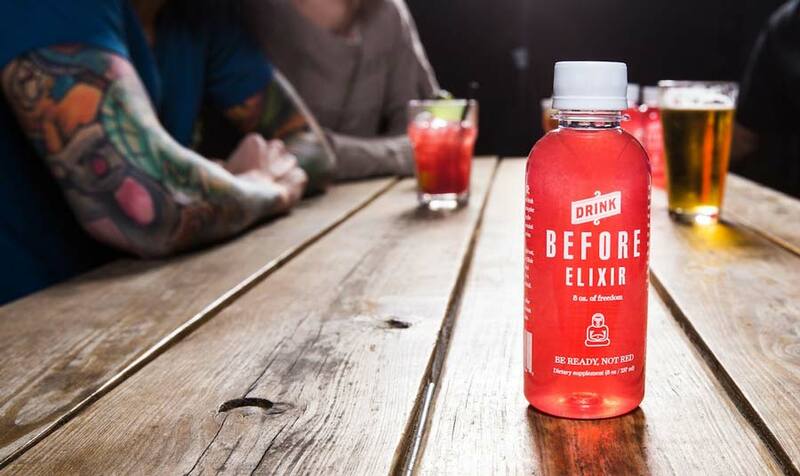 Before Elixir claims to slow down the metabolism of alcohol and toxin production in the liver that causes the flush reaction. The elixir is made with ingredients like mangosteen, raspberries, pomegranate, milk thistle and B vitamins. Antacids, such as Pepcid AC, are commonly used to help reduce these symptoms. However, they can cause blood alcohol levels to quickly rise and increase the chance of alcohol poisoning. While the beverage is currently looking for funding, a few pre-produced bottles can be purchased at the official site. ZOZOTOWN joins Japanese sake brewery Ohmine Shuzou to produce the 10th Anniversary “Ohmine Junmai” pack. Featuring co-branding details along the exclusive capsule-shaped bottling, the collaborative collection consists of Ohmine’s renowned sweet and aromatic rice-brewed premium sake. Arriving in three total capsules, the limited-edition “Ohmine Junmai” pack is free of additives and richly crafted with the aroma of white peaches and locally grown rice, complementing the simple yet refined bottling with a similarly cultivated taste and texture. The ZOZOTOWN x Ohmine Shuzou 10th Anniversary “Ohmine Junmai” pack is available now at Ohmine’s online store.